Watch your family history come to life as Grandma’s Genes, Genealogical Investigators, solve family mysteries, break down brick walls, and find adoptive relatives. Discover where you came from and the stories that make you who you are. You enjoy the journey—we’ll do the work for you. Got a 30 year family reunion in the works and want to show off the information you have stashed away in a shoebox? Have the best intentions of putting it all together one day? Overwhelmed with the prospect of sorting it all out? Give us your unorganized (or organized) family history and we will verify it and turn it into a report or presentation that you’ll be proud to share with the rest of your family and friends. Want to know if your Grandfather really fought in World War II? We can research a singular topic like this for you. Whatever the answer, you’ll receive a complete report on our research. 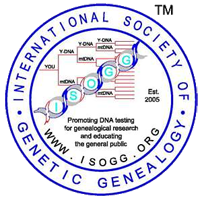 We will do the same thing as we do for our regular Genealogy Service, but more! We will do research into your deep ancestry (recent and as far back as possible). 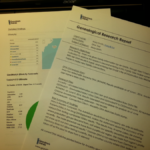 The final Genealogy Report will be chock full of information, sources and citations, charts, photographs all to prove your connection to your deep ancestry. We will give you information you may need to make application to the Daughter’s or Son’s of the American Revolution, obtain UEL, United Empire Loyalist, status or apply to any other hereditary organization including American Indian, First Nations, and Métis organizations.